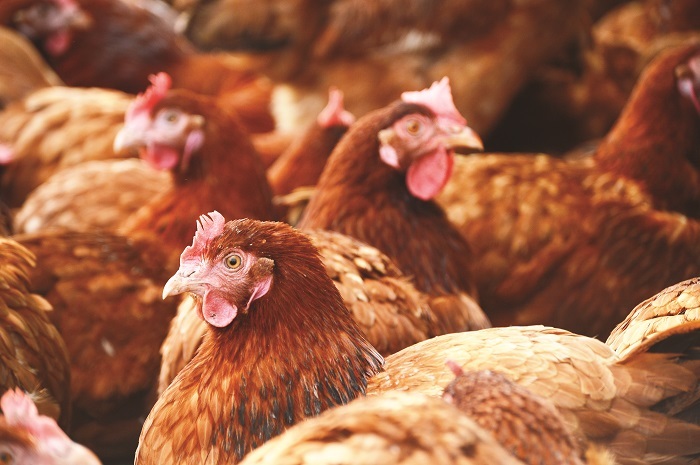 Noble Foods and Cranswick have been recognised as global leaders on farm animal welfare, alongside Waitrose, Marks & Spencer and Co-op Group (Switzerland). Launched today, the seventh annual Business Benchmark on Farm Animal Welfare confirms Cranswick, Noble Foods, Marks & Spencer, Waitrose and Co-op Group (Switzerland), as global leaders on farm animal welfare. However, while many of the 150 companies covered by the Benchmark have now adopted farm animal welfare policies and implemented farm animal management systems, the majority provide limited or no information on their farm animal welfare performance. Of the 150 companies (up from 110 last year) assessed, 63 were in the producers & manufacturers sector, including the top 40 global producers (which represent the top 10 poultry producers) with annual revenues of over US$4.6 billion. There were 23 new producers/manufacturers in the 2018 Benchmark with Campbell Soup Company, Hilton Food Group, Kerry Group and Hershey Co. amongst them. Overall, in the producers & manufacturers sector, eight companies moved up one tier, five fell by one tier, and 27 companies were non-movers. Kraft Heinz’s has moved up from Tier 3 to Tier 5. This progress can largely be attributed to the company publishing updated animal welfare policies, and more detailed reporting on the company’s management controls and improvement targets, and its animal welfare performance in its 2017 Corporate Social Responsibility report. Globally, Kraft Heinz is switching to using only cage-free eggs across all its operations by 2025 and in Europe, its goal is to achieve 100% free range by 2020. The company has also committed to source all its pork globally from suppliers that do not use sow stalls. Since 2017, Kraft Heinz has been giving preference to suppliers that are able to help it achieve its goal of being 100% sow stall free. The company is committed to improving the welfare of broiler chickens by working with its suppliers and the industry to meet even higher welfare standards by 2024. The overall average score at 32% is down from 37% in 2017, but this is not unexpected with the introduction of 43 new companies and the increased weighting (from 24% in 2017 to 35% of the total score in 2018) of the performance reporting and impact questions in the 2018 benchmark. If we were to exclude the scores for the new companies and the increase in weighting, then the overall average scores would have been 38% and 41% respectively. The benchmark is a long-term change initiative which is showing signs of progress. Of the 55 food companies that have been continuously benchmarked since 2012, 17 (31%) have moved up one Tier, 20 (36%) have moved up two Tiers and 8 (15%) have moved up three Tiers. Furthermore, the average score for these trend companies has improved from 25% in 2012 to 48% in 2018.